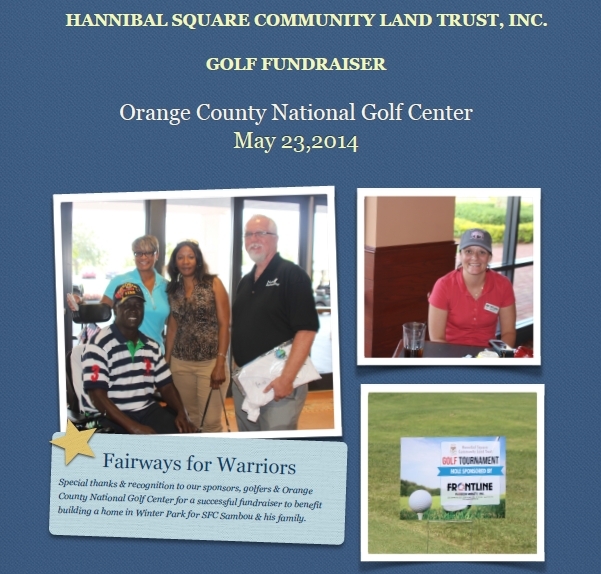 On May 23rd 2014, Frontline Florida Realty sponsored a Golf Fundraiser for the Fairways for Warriors event at the Orange County National Golf Center. We would like to say a big "thank you" to everyone who made this a successful event. Fairways for Warriors is a 501(c)(3) non-profit organization dedicated to providing a better quality of life for our Wounded Warriors by teaching them to play the game of golf, a game that can be played and enjoyed for the rest of their lives. Donations are accepted year round, so if you didn't get to make it to the event, but wish to donate, please contact Fairways for Warriors directly. Frontline Florida Realty would also like to say "thank you" to Fairways for Warriors for the lovely recognition and thank photo we received, it was our pleasure.